Check out His One And Only Son! 1) Who is Jesus talking to in this verse? 2) “For God so loved the World”, but what does “love” mean? 3) What is the result of this love? 16 For God loved the world in this way: He gave his one and only Son, so that everyone who believes in him will not perish but have eternal life. John 3 begins with a man named Nicodemus, a Pharisee, coming to Jesus after dark. Nicodemus begins the conversation by addressing Jesus as “rabbi” (or teacher) and acknowledging God had sent Him. What follows is a series of statements from Jesus and questions about those statements back from Nicodemus. Interestingly, we have no idea what Nicodemus’ intentions were in seeking out Jesus at night. What we do know is this dialogue turns into a conversation about salvation. Following this, we know very little about Nicodemus. In John 7:50, Nicodemus appears to be defending Jesus to other Pharisees and in John 19:39, Nicodemus arrives at the burial of Jesus with supplies. We also know this conversation holds what is probably one of the most well-known and oft-quoted verses in all of Scripture. “For God so loved”, a statement that forever changes man’s relationship with God. The word John chose to use in John 3:16 for “love” is “agape”. To the original audience (Nicodemus), this Greek word choice spoke volumes. Nicodemus would have immediately understood that this “love” meant ultimate display of sacrificial. Agape is a love requiring action. Jesus was reminding Nicodemus that there is a penalty for sin, a sacrifice must be made for forgiveness to occur and justice to be met. All of these concepts Nicodemus would have been familiar with as a Pharisee. However, Jesus is now stating the sacrifices the Pharisees knew up until this point were not enough… they could never truly wash away sin by the blood of animals. Jesus lets Nicodemus in on the final, ultimate sacrifice which was to be completed once and for all in Himself, as God the Son. The greatest act of love the world has ever seen would be a finished action completed once and for all when Christ offered up Himself as an atonement for sin. All “Good News” of Scripture is brought to fulfillment in this single verse, “God so loved the world… He gave”. The result of God’s intimate love for His Creation propelled Him to give the ultimate gift… His One and Only Son. Jesus came to Earth in human flesh and walked among us for 33 years, living a perfect, blameless life where we never could. He then chose to be punished for the sin of the entire world in the most gruesome form of punishment mankind created…death on a cross. As Jesus hung on the cross, He carried the weight and stain of every sin. Isaiah 52:14 paints a picture of what the weight of our sin did to our Perfect Savior. He was completely unrecognizable; “His form did not resemble a human being”. If that’s not the ultimate demonstration of love, I don’t know what is. Even more than the burden of carrying the world’s sin, the agony of breaking unity with the godhead caused Jesus to call out “Oh God! My God! Why have You forsaken me? !” (Matthew 27:46) He then was buried for three days and rose again defeating death, grave, and sin as He provided a way of redemption for mankind. The result of this love was the greatest gift Nicodemus, or anyone else, could ever ask for. This love offered a restored relationship between God and humanity for eternity! A Pharisee and professional teacher of the law, Nicodemus, seeks out Jesus in the night. Jesus uses this opportunity to dialogue with Nicodemus regarding salvation. Nicodemus had previously seen Jesus at work teaching and preforming miracles. We can only assume he wants to know more when he shows up to talk with Jesus. In his commentary, Matthew Henry states, “He did not come to talk with Christ about politics and state-affairs (though he was a ruler), but about the concerns of his own soul and its salvation.” We find hope in Nicodemus’ encounter with Jesus. We see yet again Jesus’ reason for taking on human flesh. He came with the sole purpose of redeeming Creation back to Himself. We can be encouraged this salvation is for us just as much as it was for Nicodemus. Agape, sacrificial, deep love, the kind of love God feels for His Creation, is the reason Jesus, God the Son, chose to walk on earth as a man. God wrapped in flesh. In English, we use love in many contexts and the Greek did as well, however, they used different words for it. The love John uses here conveys a love so deep, generous, self-less, and sacrificial that only God could put it into action in the ultimate way. He provides the ultimate sacrifice by giving up Himself for us. The love and the action brought about by that love were not only for Nicodemus or those living in Jesus’ day. It is a love meant for the world both then and now. God’s love extends beyond Nicodemus, the disciples, or the crowds that followed Jesus. His love extends to you and to me. His sacrifice is meant just as much for you and me as it was for those who walked with Jesus and watched Him die. All we need to do is accept that love and the sacrifice of Jesus with the understanding that only His sacrifice is enough to satisfy the righteous judgement of God. We deserve death because of our sin and no amount of “good” we try to do on our own will be enough to make restitution for our sin. Only Jesus can stand in the gap for us. And that’s exactly what He did! Sisters, I urge you, if you haven’t made that decision and have questions, seek out a Christian you know and ask. Jesus came for you and He is waiting for you to accept His love! Want to connect with a GT Partner? Email us! The result of this love was Jesus’ death for you and I. However, the result does not end there. As believers, our first action as a result of this love is simply to accept what Jesus has done for us. John 3:16 makes it perfectly clear, “that everyone who believes will not perish but have eternal life”. All we need to do is believe. Once we believe, we are called to action just as Jesus was called to action. 1 John 4:7-20 calls those who put their faith in Jesus to action. In these verses, we are reminded of the love God showed us and then called to love each other. The word for love is the same in 1 John 4:7-20 as it is in John 3:16. God, alive in the believer through His Spirit, points a lost world to His love for them. As a result, we are called to this same sacrificial, deep love for others. Our decision to accept Jesus isn’t the end of the journey, but rather the beginning! We are to continue to know God more through studying Scripture and by engaging in biblical community. As we submit ourselves to the Holy Spirit, our lives will be transformed to look more like Jesus. Remember, “agape” love is a “God type of love”. Only He is fully capable of it. We must be filled with Him by trusting in His perfect sacrifice on our behalf in order to love the world around us as Jesus loves! As we do that, we love others even when it hurts. To claim that we love God mandates that we love people! We cannot have one without the other. Catch up with His One And Only Son! This is Gospel Week Two! Check out Paul, The Renewed Soldier! 1) What is considered sound doctrine? 2) Is sound doctrine really important? 3) But I just want to love Jesus and enjoy life. Are we over thinking this? 3 For the time will come when people will not tolerate sound doctrine, but according to their own desires, will multiply teachers for themselves because they have an itch to hear what they want to hear. 4 They will turn away from hearing the truth and will turn aside to myths. But as for you, exercise self-control in everything, endure hardship, do the work of an evangelist fulfill your ministry. God’s word, with appropriate application in context and further interpreted by other Scripture, is “sound doctrine.” Doctrine in and of itself is defined as “a belief or set of beliefs.” As noted in an article by Ligonier Ministries, even demons have teachings and their own doctrine (1 Timothy 4:1). Scripture notes that even demons are fully aware of who God is (Luke 4:40b-41; James 2:19). Therefore, being aware of God alone is neither the basis of salvation nor the definition of living a life honoring to the Lord. Simply knowing about God does not equal “sound doctrine”. The basic foundation of Biblical doctrine is summarized multiple times in the book of Acts: “…by the name of Jesus Christ of Nazareth, whom you crucified and whom God raised from the dead—by him this man is standing here before you healthy. This Jesus is the stone rejected by you builders, which has become the cornerstone. There is salvation in no one else, for there is no other name under heaven given to people by which we must be saved.” (Acts 4:10-12) Sound doctrine involves a deep and wide understanding and confession of Jesus Christ as fully human, fully God, and the only means why which salvation is attained for humanity. Paul devoted his life to preaching Scripture accurately as revealed through the lens of the Gospel. Paul apparently thought it was important enough for people to align with truth that he spent years traveling and ploughing through extreme circumstances of shipwrecks, imprisonment, and more in order to call people to Christ and to living out sound doctrine. In Paul’s first letter to Timothy, Paul specifically notes of deterring from sound doctrine leads to “empty speculations” and “fruitless discussion.” (1 Timothy 1:3-7). In 2 Timothy, it’s noted how idle talk easily leads to some turning away from truth and towards false claims about Christ (2 Timothy 2:14-19). Having witnessed the destruction of handling Scripture inaccurately, Paul leads in to 2 Timothy 4 with a charge to “preach the word; in season and out of season.” Though people will want teaching that permits their chosen lifestyle and offers entertainment with “tickling of the ears”, it is absolutely necessary to cling to the gospel and pronounce it to the lost world (2 Timothy 4:1-5). 3) But I just want to love Jesus and enjoy life. Are we overthinking this? God wants us to enjoy life! He is the one who created a perfect garden for us to live in complete union with Him. He is the one who gave Himself—His Son—as the perfect sacrifice that we may have opportunity to be right with God. And all of this after we repeatedly deny recognition of Him as Almighty Creator GOD. Understanding that it is the Lord’s holy, perfect standard we have violated because of sin is the beginning of making sense of the broken world around us. A right understanding of who God is illuminates good news of what He has done for us. Though God does want us to have joy, He knows true joy is only in HIM. He knows we are innately driven to please ourselves. His greater purpose is to lead us out of a path that leads to death driven by self-desires and into the eternal life with His perfect presence. To some degree, in our fallen state of thinking, we will never fully see God as He truly is until we reach Heaven in His full presence and glory. But we are to strive with Scripture as our guide. Scripture always trumps and interprets experience. Personal experience may bring alive or enhance what Scripture is teaching, but personal experience is not the interpreter of Scripture. Life is overwhelming and the Bible is rather thick. The task can feel too hard. But God can produce great things from small, consistent bites. Follow a Bible study plan even if you fall behind. In this age of FREE podcasts, listen to multiple teachers as you drive, exercise, or clean the kitchen. The goal is to know Christ and Him crucified, resurrected, and coming again! 2) Why is sound doctrine important? Often people skirt from seeking doctrine because it can feel overwhelming or, perhaps, believe that by declaring some sort of definite statements will divide the church. In actuality, clinging to the doctrine of the Gospel and encouraging each other to grow pulls the church together. Yeah, I just want to enjoy life and love Jesus, too. But living this way may not be how you initially imagine. God allows tough circumstances. Some trials are such a part of life that they are not going away in my lifetime. I get tired. My emotional love for and connection to Christ stretches thin. I question my relationship with Christ as feeling a need for a vacation more than the feeling of surrender. So, what does it mean to love Jesus? Paul and the apostles are great examples. Through the lens of who Jesus is, they grasped their identity, not the other way around where our feelings dictate who Jesus is or who we are. Paul urges Timothy to live his identity in Christ with, “self-control in everything, endure hardship, do the work of an evangelist fulfill your ministry.” (2 Timothy 4:5). Paul was “being poured out as a drink offering” to spread the Gospel (verse 6). Even then, he learned to rejoice in all circumstances (Philippians 4:11-12). Paul did not fake until he made it type of thing. As he learned more deeply the character of God and his own place before Christ, he learned true joy in living out God’s purpose to further the Gospel. Catch up with Paul, The Renewed Soldier! This is Sketched V Week Three! 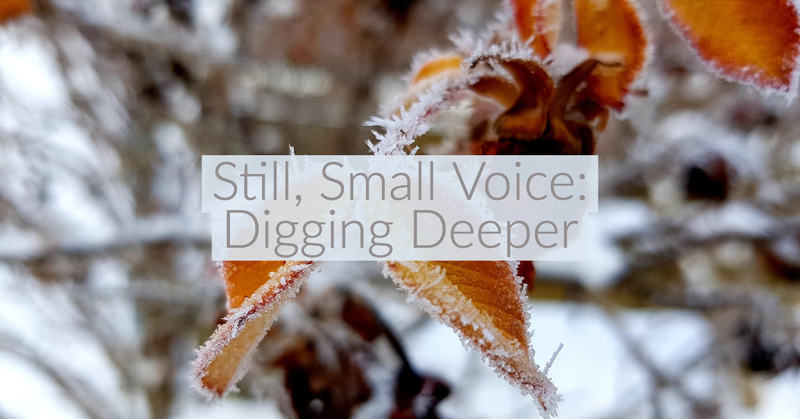 Check out Still, Small Voice! 1) Why is Elijah in the cave? 2) Why does God choose to speak in “a soft whisper”? 3) Why does God leave 7,000 in Israel? He entered a cave there and spent the night. At that moment, the Lord passed by. A great and mighty wind was tearing at the mountains and was shattering cliffs before the Lord, but the Lord was not in the wind. After the wind there was an earthquake, but the Lord was not in the earthquake. 12 After the earthquake there was a fire, but the Lord was not in the fire. And after the fire there was a voice, a soft whisper. 13 When Elijah heard it, he wrapped his face in his mantle and went out and stood at the entrance of the cave. Beginning in 1 Kings 18:20 we see the set up for why Elijah ended up in a cave. Elijah was the only faithful prophet to God and he challenged Ahab and all the others who were worshipping the false god Baal. More specifically, Elijah attacked the beliefs of the worshippers of Baal, set up an impossible-to-win stand-off to prove Baal had no power while the One True God was all-powerful. God, of course, defeats the prophets of Baal. However, this action brings about a threat on the life of Elijah from Queen Jezebel. Upon receiving the threat Elijah is afraid and runs for his life. God remains faithful to Elijah, providing for his basic needs and, after 40 days, he eventually ends up in the cave. Elijah is in a cave as a direct result of his decision to run away. In 1 Kings 19:11-12 God displays His power over creation. There is a great, destructive wind, an earthquake, and a fire that all take place before God finally chooses to speak. God could have shown up and spoken to Elijah in any of those moments, instead He chooses to wait. God displays His power for Elijah once more and then, in the small whisper, God finally speaks. God waits for the intimate moment when He has Elijah’s full attention to speak, and when He speaks, He asks a question reminding us of the question God asked Adam and Eve in the Garden of Eden. In Genesis 3:9 quickly following Adam and Eve’s decision to sin, God comes into the Garden and asks, “Where are you?”. God doesn’t ask this because is ignorant, He asks to re-establish the relationship that once was. In a similar way God comes to Elijah in the quiet whisper and asks, “What are you doing here, Elijah?”. Again, God doesn’t ask because He doesn’t know the why, He asks because He is restoring the relationship God and His prophet Elijah have had. During the intimate conversation between God and Elijah we learn Elijah feels alone. He feels there is no one left who is faithful to God. He essentially wonders why the Israelites are still God’s people despite their unfaithfulness. God chooses to show Elijah that he is not alone and there are 7,000 believers who had never abandoned the faith. In these same verses we see the consequences of those who have been unfaithful, as well as the love of God in sparing those who remained faithful to the covenant between God and Israel. God encourages Elijah there would be another prophet to follow in his footsteps when He instructs Elijah to anoint his replacement, Elisha. Even though Elijah felt alone God showed him he has never really been alone. It has always amazed me that in one moment Elijah displays such faith in God that he stands up to Baal without fear knowing his God will be victorious and in almost the next breath Elijah is running away fearing his life from a human queen. Just like Elijah, there are times in our lives where we will fear the circumstances in our lives. The decision before us in those moments is whether we will lean in and trust God, or run in fear of what might happen. While the decision to ask God into our lives is a one-time decision, the decision to trust God in all circumstances and situations is one made moment by moment, day by day. God is a God of power who controls all of creation. He can choose to show Himself and speak through anything. Yet, many times in our lives God does not speak to us through big huge billboards we can’t miss. No, instead, He comes to us in the quiet moments when we choose to set the noise of the world aside and draw near to Him. It is in the moments of intimate relationship that God often speaks to our hearts. You see, above all God prioritizes our relationship with Him. He wants us to draw near, to sit and be still, to lean in ready to hear what He has to say. The question is, will we be still long enough to hear the soft whisper? Just like Elijah felt alone, how many times in our lives do we struggle with the same feeling of loneliness. There will be times in our lives we look around and may be tempted to think there are no faithful believers around us or there is no one left to keep the faith when we are gone. However, just as in the life of Elijah, we are never truly alone. If we look hard enough, there are those around us who are clinging to faithfulness and living their lives devoted to the One True God. There are those being raised up in the faith that will continue to grow in faithfulness and who will carry on the faith once God calls us home. No matter how hopeless circumstances may look, we must remember that just as Elijah wasn’t alone in his faithfulness neither are we. Like Elijah, we serve not only a faithful God, but also a just God and those who are faithless will one day have to answer for that faithlessness. However, we must also remember that faithfulness does not equal perfection. As believers, God is continuously at work in our lives to make us more like Him as we choose to cling to Him in faith. Catch up with Still, Small Voice! 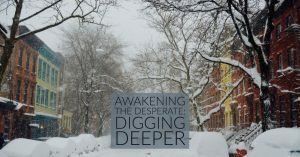 This is Awaken Week Two! We moved into a new apartment recently. On Saturday night, we invited a couple friends over to celebrate and enjoy our new home with us. As soon as they walked in the door, their gaze was drawn to the beautiful view of the river and cityscape through the floor to ceiling glass windows. The view is breathtaking. After sitting, chatting and enjoying some pre-dinner cheese and olives, they said they would be happier to stay and eat something here, rather than going to the restaurant we had booked a short walk away. My husband and I looked at each other and just giggled. Our guests had been focusing so much on the beautiful view out the window they hadn’t even noticed there were no chairs in our dining room. Our old chairs were broken and the upholstery torn. We threw them away in the clean up before we moved and were waiting until we got settled in our new space before purchasing new ones. We notice what we focus on. Our friends didn’t notice the dining room with no chairs. They were focused on the view. This is true for us not only in the physical, but in our spiritual lives as well. I love reading the Psalms. There is a raw outpouring of human emotion. The songs and poems aren’t sterilised for appearances’ sake; they are audacious, heart-wrenching and authentic. Instead of picture perfect facades, we find the real emotion of humanity – anger, fear, grief, frustration, and heartache. But, that’s not where they stop! The psalmists always take their raw emotions and hold them up to the character of God. The counter-balance always outweighing the heartache is worship. Steadfast worship keeps God in focus. In Psalm 42, the sons of Korah beautifully express the anguish of a nation in pain. We have all had nights like that! There are a couple of strategies that don’t help. In verse 3, the taunting voices of the people saying, “Where is your God?” Listening to what people say isn’t always helpful. They can turn our eyes off God and magnify the problems rather than magnify the Savior. We must be careful whose voices we listen to, especially when our faith is weak. In verse 4, the memories of the ‘good old days,’ when everything was going well, did not help. Remembering the past is a good thing when we can recall God’s faithfulness and provision, but focusing on our past can keep us in our self-focused pity party rather than turning our eyes to God. and pain is never the end of our story either. Steadfast worship keeps God in focus, and when we hold our pain up to the majesty of the Lord, it shrinks down to its true size. Insistent focus on the Almighty makes our challenges become smaller. In Psalm 46 it seems like the whole world is falling apart. The earth trembles, the mountains topple, the water roars and foams. But there is no fear when God is in focus. When David stood on the battlefield in front of Goliath, he didn’t focus on Goliath’s height, strength and size of his spear. David focused on the power of the one true God, the one David knew was undefeatable. David stood on the battlefield without fear, because he chose steadfast worship. to the power and majesty of God. David was a young shepherd and songwriter. In the many, long solitary hours in the wilderness caring for his family’s sheep, David learned to worship. He saw God’s power, majesty, and beauty in the creation around him. and David nurtured an intimate relationship with God as his friend. and it changed the way he stepped up to the challenges he faced. Even in David’s worst moments of human failure, he was able to turn his focus to the character of God. 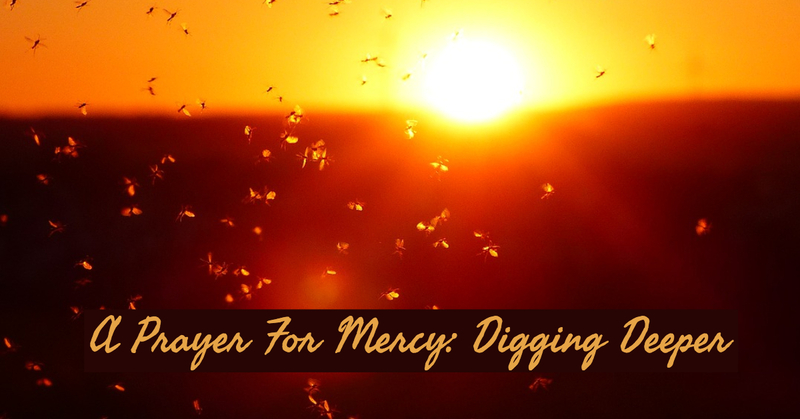 In Psalm 51 we read the outpouring of David’s guilt-ridden heart when his sin was exposed. David worshipped God for His mercy, compassion and forgiveness. Often the heartache we cause ourselves is the most difficult to deal with and move past. We can find it easier to forgive others than to forgive ourselves. But once again, David focuses on God and finds hope in his grief. He lifted his eyes to the character of God. the challenges we face become less frightening. Like David, let’s worship God with steadfast hearts and hold onto eternal hope in Him! 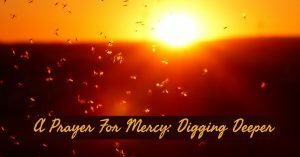 Check out A Prayer For Mercy! 1) Who is the writer and what qualifies him to write on this topic? 2) How is one’s affliction related to someone else’s salvation? 3) Verse 5 seems to assert that it is because of Jesus Christ that we have both affliction and comfort. How is this possible? 3 Blessed be the God and Father of our Lord Jesus Christ, the Father of mercies and the God of all comfort. 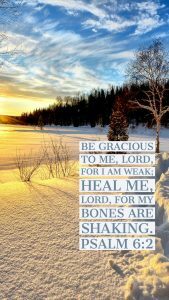 4 He comforts us in all our affliction, so that we may be able to comfort those who are in any kind of affliction, through the comfort we ourselves receive from God. 5 For just as the sufferings of Christ overflow to us, so also through Christ our comfort overflows. 6 If we are afflicted, it is for your comfort and salvation. If we are comforted, it is for your comfort, which produces in you patient endurance of the same sufferings that we suffer. 7 And our hope for you is firm, because we know that as you share in the sufferings, so you will also share in the comfort. But Paul knew from experience that a life dedicated to Christ does not equal a life of relaxation. Quite the opposite: 2 Corinthians 11:23b-27 is a laundry list of hardships and adversities! 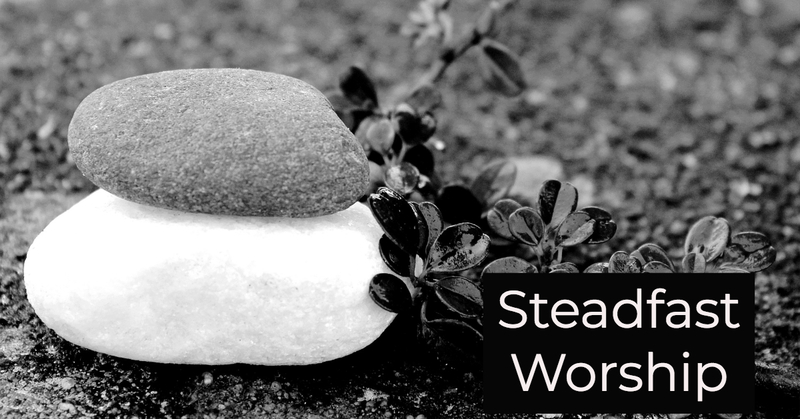 From beatings and prison to shipwrecks and hunger, Paul had lived through many sufferings. Paul wrote this second letter to the Corinthians partly because he had heard reports of their deplorable behavior. He was distressed to know that these believers were allowing the smooth words of false teachers to tickle their ears and draw them away from pure devotion to Jesus. In this sense, Paul’s distress (affliction) resulted in a letter that brought about their repentance, which brought them closer to the Lord (2 Corinthians 7:11). Paul suffered significantly for the cause of Christ in his lifetime, but it wasn’t without purpose. God used Paul’s sufferings to bring about salvation for many as they heard his preaching and witnessed the power of the Holy Spirit at work in his life. Sisters, do we deceive ourselves to think that we will be accepted by society even as we live out our faith in Jesus? He specifically stated the world would hate us because it hated Him first (John 15:18-19). This is the reason that we have affliction – because we identify with Christ. But He also sent the Holy Spirit upon His ascension to everyone who genuinely believes and trusts in Him (Acts1:9-11; 2:1-4). The Spirit of God is with us even during our tribulations and hardships, bringing us comfort. Paul could write about sufferings because he endured many. Every event in each of our lives has the potential to bring glory to God. Even the hard times. Especially the hard times. What have you experienced in your life that only Our Good Father could have brought you through in His mercy? Have you shared it with anyone? We have seen the many hardships that Paul endured on his missionary journeys. Imagine if he had given up his calling at the first hint of trouble. Think of how many people would never have heard about Jesus Christ. Living out the calling placed on our lives by Our Lord is not easy. Not only will we be mocked and ridiculed by people, but the enemy, Satan, will do his best to keep us from fulfilling our purpose. We don’t give up, because the Holy Spirit is with us to sustain us and to comfort us. We can trust that God knows best, lean into Him (especially when suffering) and experience His mercy. Then we share that with others for their salvation…either justification salvation (a one-time experience) or sanctification salvation (a daily transformation into the likeness of Christ). Think for a moment about the sufferings you have endured as a Christian. 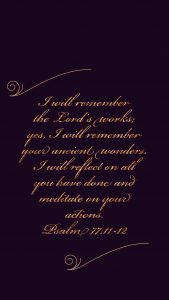 Now reflect: Did you receive comfort during those times, either from fellow Christians or from the Lord Himself? If you had the choice (which, of course, you do) to suffer for Jesus knowing you’ll be comforted or to live an easy life with no suffering, but also no promise of heaven, which would you choose? My choice is Jesus. A little trouble now in this world…but a glorious life with Him for eternity. *If you have chosen Jesus for the first time in your life, please contact a pastor to learn what your next step should be or share it with us at Gracefully Truthful!